I am a resident of city of Bulawayo with a disability. I have a disabled wife and also a disabled daughter. I got a donation of a Gas Popcorn making machine last year from Edgars stores. Government supported my vision to be come self reliant by a Grand of $400 which was paid direct to Zimbabwe revenue authority for the machine customs clearance. It is sad to note that Bulawayo City Council management has being refusing to license the operation of the popcorn making machine. The engineer services have being charging goal Posts when ever I meet their set requirements. I was pushed from one council office back and forth for the past year. I was denied access to the Town clerk by the management. Due to the great need of raising funds for my family survival I started to operate the Popcorn making machine at corner L Takawira and H Chitepo opposite Edgars at a Council designated vending site in September. On the first day of operating two council trucks with over 40 council security officers came to me. I requested that they go and call their management as it was an issue of Bulawayo City Council putting a blind eye on the two constitutional sections which are 22 and 83 of the constitution of Zimbabwe amendment number 20 of 2013. The constitution is very clear on what government, institutions of government and agents of government must do for persons with disabilities and for the benefit of the readers below are the two contrition of Zimbabwe persons with disabilities sections In full. a Develop programmes for the welfare of persons with physical or mental disabilities especially work programmes consistent with their capabilities and acceptable to them or their legal representatives. b consider the specific requirements of persons with all forms of disabilities as one of priorities in development plans. d Forster social organisation aimed at improving the quality of life of persons with all forms of disabilities. 4 The State must take appropriate measures to ensure that buildings and amenities in which the public has access are accessible to persons with disabilities. a To enable them to become self reliant. b To enable them to live with their families and participate in social, creative or recreational activities. c to protect them from all forms of exploitation and abuse. f To provide State funded education and training where they need it. Looking on the two sections of the constitution above it is clear that the council management is putting a blind eye on the constitution. A blind eye which brought it's establishment as a Local Authority as they are established according to section 274 and 276 of the same constitution which brought it's establishment. 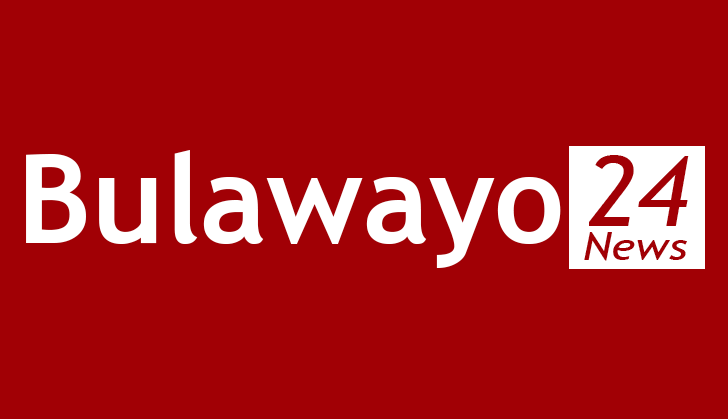 The main purpose or Bulawayo City Council as a Local Authority is to govern the local affairs of people in its area of it is established. When the constitution say affairs of people it include persons with all forms of disabilities as the word people as used in the constitution include every human being. Bulawayo City Council legal advisor and the chamber secretary got me arrest on trapped up criminal charges of using my popcorn machine. On the first incident Mr Ackim Ncube who is employed by Bulawayo City Council vending control unit with his team throw my popcorn making machine inside a Council truck and the front glass broke into two half's. The chamber secretary who is the head of the section got in the defensive mood claiming that the machine was at Drill Hall police station licence inspectorate not council warehouse. On 7 October a week later from the first council arrest I was arrested again. The Popcorn making machine and all other equipment was packed in a Council truck and was surrounded at Drill Hall police station license inspectorate. They was no case opened against me on the day of the arrest. I returned to the police station on Monday 9 October as was advised by the police. I spend the whole day at the police station no case was opened by Bulawayo City Council. I returned on the 10th of October and spend the over 6 hours and then left for home and only returned on the 11th of November and I was informed of the charges which were being leveled against me. on the 13th I appeared in court 2 TradGold court for initial remand. The date of the commencement of trial was set as 16 October. I returned for the start of the trial and council brought a second witness and the case was postponed to 17th and on the 17th the prosecutor requested time to look on the matter and he requested Bulawayo City Council to submit the two sets of by laws of vending and fire Brigade. The matter was moved to the 24th. I appeared for the trial and the first charge was dismissed by the court and I was told to return on the 25th for the determination of the second charge as the prosecutor requested the court to seek advice from the chief prosecutor as the finds of the offence level against me of starting a fire in a street were still on Zimbabwean Dollars as they were last revised in the year 2000. The determination of count two on the charge sheet is today at 08:30 court 8 TradGold court Bulawayo. I was left with nothing after the arrest and as a disabled family of three disabled persons we are now starving. My wife had a growth operation done on her by Doctors from Germany who come to her rural area of Berengwa at one of the hospitals and she is on medication.